The Chicago area is getting a taste of enjoyable spring weather and many homeowners in the area are opening their windows up to let in the spring air and sunshine. The spring season is also the time of year when homeowners focus on home cleaning projects and the windows are one aspect of the home that needs to be cleaned after a long winter. Having clean windows will not only improve the look of your home, but also allow in more sunlight. The following are some tips for effective window cleaning that will result in clear windows. Window cleaning is not a very difficult task as far as home cleaning projects go but it is beneficial to use proper cleaning methods for the best possible results. The first step is to make sure you have the proper supplies. 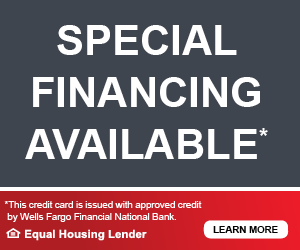 These supplies should include a store-bought window cleaner or homemade cleaning solution consisting of water and vinegar, 3 microfiber towels or cloths, and some newspaper. You should not use paper towels because they leave streaks and fibers on the windows. Once you have the necessary supplies, it is important to follow these steps for the best results. First, wipe down the window with one of the clean microfiber towels to remove dust and dirt from the glass and frame. Then spray the window liberally with the cleaning solution and use the second microfiber towel to wipe off the cleaner. The third towel should be used to wipe down the window a second time to completely remove the cleaner. You can then finish off the job by wiping the window a final time with crumpled newspaper. So as you open up your windows this spring and tackle other spring cleaning tasks, make sure to set some time aside to clean each of your windows. This will help improve the look of your home and increase the amount of sunlight entering your home. If you are looking to have some or all of your windows replaced this spring, contact Green T Windows. 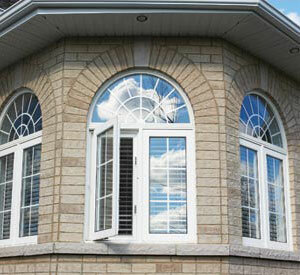 We carry new vinyl windows in a variety of styles and provide full installation services. Window treatments play a large role in determining the amount of light and heat that is allowed into a home and the orientation of each window may be important for deciding which types of window treatments are most effective for your windows. The intensity of the sunlight can vary depending on the type of day and the direction of the window and by understanding the difference in the light between orientations, you can make a better decision on window treatments. The following is a guide for choosing window treatments for windows facing each cardinal direction. North: Windows that face the north allow cold air into a home through infiltration and conduction which can be a problem in the winter. The most effective window treatments that minimize cold air infiltration include metalized pleated shades, insulated shades and shutters, and lined or insulated draperies. East: Windows that face east allow in sunlight that is warm and bright, but the brightness from direct eastern sunlight can actually be damaging to wood furnishings and fabrics. Using light-diffusing window treatments can help limit the brightness while still allowing the light into the home. These window treatments include sheers, semi-sheers, casements, pleated shades, blinds, and shutters. In addition to extra brightness, east-facing windows also let in more heat due to high solar gain in the mornings. This solar gain can be beneficial during the winter but in the summer it can make a home too warm. Certain window treatments such as exterior awnings, sunscreens, metalized pleated shades, vinyl pull shades, mini blinds, and opaque fabrics can help limit the effects of solar gain and these treatments can also be opened later in the day when the solar gain is less intense. South: Throughout the year, south facing windows allow in sunlight and heat that can help warm up the home in the winter. However, it is important to choose window treatments that can protect furnishings from damage caused by direct sunlight because during the winter, the sun is in the south skies all day long. These windows could benefit from glare reducing window treatments or heavy, opaque treatments for better protection against heat loss. West: The sunlight that enters a home from the west is the warmest and has the biggest effect on the temperature inside the home. Using window treatments on west facing windows such as vertical and horizontal blinds, pleated shades, shutters, shears, casements, or lightweight fabrics should help limit heat gain. When you are choosing new window treatments for your home, make sure to take the orientation of each window into account. Choosing the right window treatments can help you better control the temperature within your home for lower heating and cooling bills. 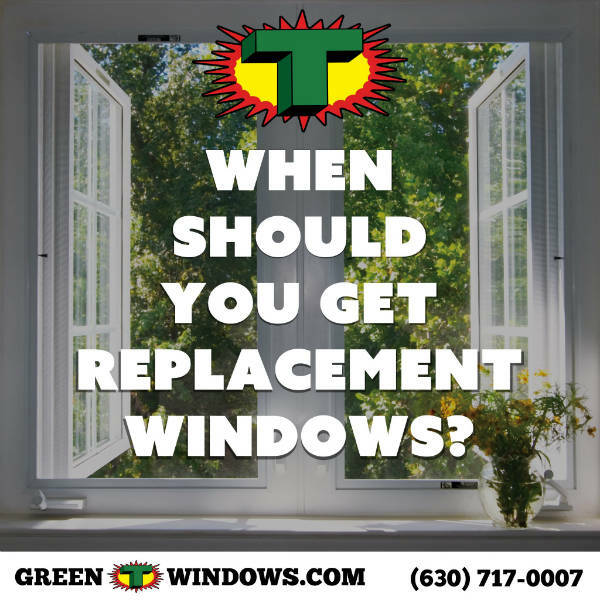 If you think your home could benefit from having the windows replaced, contact Green T Windows to learn about our replacement options. Replacing the windows of your home can bring many benefits such as improved energy efficiency, increased home value, and even better curb appeal. However, the process of replacing windows is a major job that can be disruptive to the regular activities of those within the home. This process can be especially difficult to deal with during the winter. While it is not often recommended to have your windows replaced in the winter, in some circumstances it may be the only chance to have them replaced. 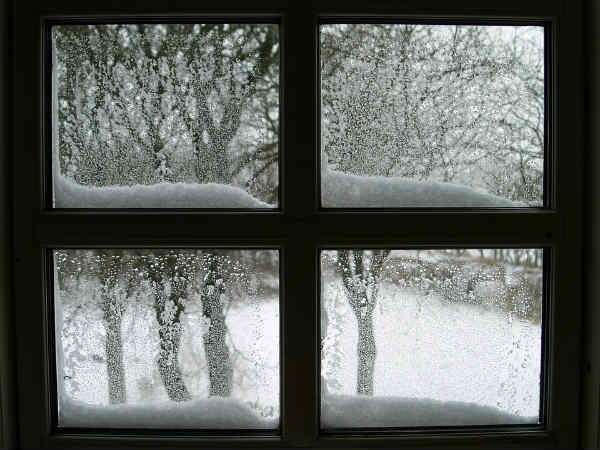 If you are having replacement windows installed during the winter, here are some things to consider that can help the process go smoothly and quickly. Professional window installers typically follow certain methods when replacing windows depending on the situation and some of them may have a specific procedure for winter weather. Before they begin any work, ask them to explain the method they use for winter installation. This way you will know what to expect from them and you can make sure they stick to their method. One part of the method that homeowners should pay particular attention to is whether they will remove the old windows all at once or replace them one at a time. In order to minimize the amount of cold air entering the home during the process, you should discuss replacing the windows one at a time with the technicians. The other major concern when having your windows replaced during the winter is protecting the area being worked on. As the windows are being replaced, cold air will enter the house but keeping the doors of the specific room closed will keep it from spreading throughout the house. The carpet and furnishings within the room should also be protected from the weather as well as the foot traffic and construction debris from the technicians. Homeowners may also want to consider providing insulation around the framework of the windows being replaced to maximize the energy efficiency of the new windows. 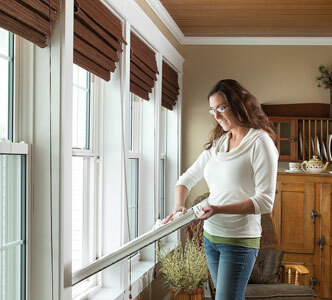 Window replacements bring several benefits to a home and if you are having your windows replaced in the winter, make sure to follow these considerations for a much smoother installation process. It is important that winter installations are done correctly because improper installation can cause heat loss and extra exposure to the cold weather. The technicians of Green T Windows are highly trained to install all styles of windows properly. Contact Green T Windows to learn more about our installation services and available window styles. Most vinyl replacement windows, including those available from Green T Windows, feature low-e glass, but what is low-e glass and why is it beneficial for your home? In very basic terms, a material that has low emissivity (low-e) absorbs and emits a low proportion of radiant thermal heat or energy while reflecting a much high proportion. New windows generally have film coatings to give them lower emissivity which contributes to less heating and cooling loss and better energy efficiency within a home. All materials have an emissivity value which ranges from 0 to 1. Materials with a low-e value absorb small amounts of heat while reflecting most of it and materials with a high-e value absorb most of the heat and reflect poorly. Emissivity values represent the percentage of energy absorbed so a material with an emissivity value of 0.05 absorbs 5 percent of the energy while reflecting 95 percent and a material with a high-e value of 0.90 absorbs 90 percent of the energy while only reflecting 10 percent. Naturally, glass has a very high thermal emissivity value, but applying special thin film coatings to the glass can give it a much lower emissivity value. Low-e glass reflects a high percentage of radiant energy and keeps excess heat from transferring to the other side of the glass. Therefore, low-e glass windows help keep heat inside the home during the winter and reflect the heat from the sun while allowing the light in during the summer to keep the home cooler, ultimately leading to more efficient energy usage and lower bills. All of the vinyl replacement windows available from Green T Windows feature low-e glass to provide improved energy efficiency. The low-e coating also reduces water spots for easier cleaning and maintenance. Contact Green T Windows to learn more about the benefits of low-e glass and our vinyl replacement windows. 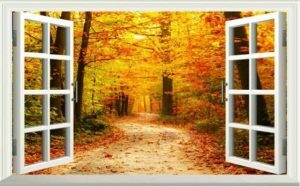 The fall season is in full swing in the Chicago area and this time of year may be the best time to replace your windows. Homeowners who have been considering replacement windows should act now before the cold temperatures of the winter arrive. Replacing windows in the fall with new vinyl windows is beneficial because the current weather conditions are perfect to handle the replacement and switching to new windows just before the winter will result in increased heating efficiency when the temperature does drop. The biggest advantage to replacing windows in the fall season is the temperature. During the window replacement process, a home is open to the outside as the old windows are being removed and replaced by the new windows. The winter season is much too cold for window replacement and having windows replaced in the summer means going without air conditioning until the job is complete. The moderate temperatures of the fall are ideal for window replacement because a home will not waste heating or air conditioning during the replacement process. The fall season is also a great time for replacement vinyl windows because they will increase the heating efficiency of the home right before the winter. Old windows with wood or metal frames do not form as tight of a seal as vinyl frames which could cause them to be drafty and allow air exchanges that would result in heat loss. The vinyl replacement windows from Green T form a much tighter seal to limit air transfer and keep the heating in the house. This will improve the efficiency of the heating system for warmer rooms and lower energy bills just in time for the cold Chicago winter. If you are considering vinyl replacement windows for your home, contact Green T Windows this fall. We have 360 Vinyl Replacement Windows available in ten different styles that meet or exceed the Illinois Energy Efficient Building Act. The 100% pure virgin vinyl frames can be customized to fit any size area and they come in a variety of color options. Contact Green T Windows for professional window replacement and enjoy better heating efficiency with lower energy bills when the coldest winter temperatures arrive.